What's in my gift basket? Please note our seasonal Gift Baskets sales have closed. Sign up to our newsletter to get word on when they’ll be available in 2019! Gift Baskets offer a solution to anyone who sees gift giving as an opportunity to also do something meaningful. We hope you enjoy the assortment of delicious homemade goodies and other specialty items in your Gift Basket! 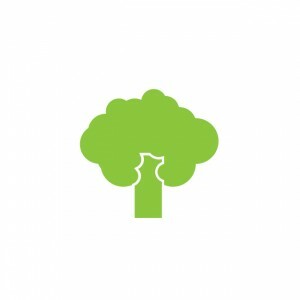 All money raised through Gift Baskets sales goes directly into FoodShare’s programs to support good, healthy food access and food literacy initiatives in communities across Toronto. What’s in my Gift Basket? Like any successful community project, our Gift Baskets initiative is only made possible with the help of our volunteers, partners and supporters. Learn more about the amazing collaborations that brought you this year’s delicious selection! 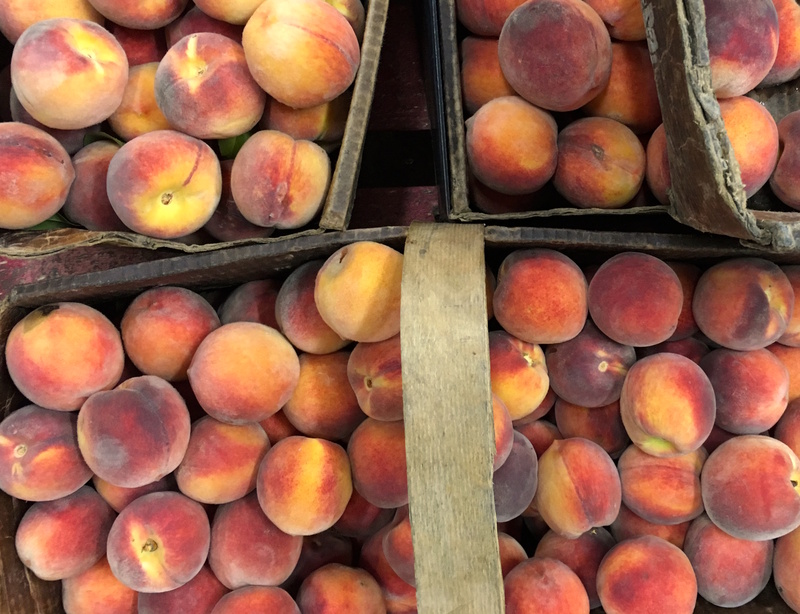 The produce for this year’s homemade Peach Jam was sourced from Front Step Farms Inc., a small-scale grower located in the Niagara region of Ontario. What makes these peaches unique is that they’re ripened on the tree before harvesting so they’re much sweeter compared to conventional, supermarket varieties. The honey in our Large Gift Baskets comes from The Toronto Beekeepers Collective. It’s sourced from beehives located across the city, including the Toronto Botanical Garden, the Fairmont Royal York rooftop garden, Downsview Park and Black Creek Community Farm. The collective emerged over 15 years ago in partnership with FoodShare’s urban beekeeping efforts. 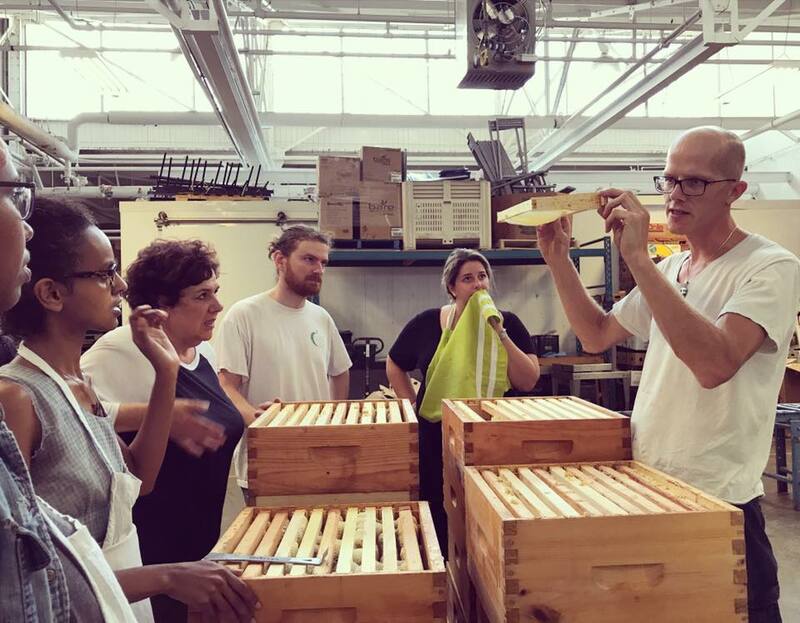 We continue to work in close partnership with The Toronto Beekeepers Collective — providing supplies and staff support as well as funding to cover permit costs and salary for an apiculturist (professional beekeeper). This year’s baked goods and peach jam are brought to you by a collaboration with George Brown College’s Chef School. Over 3 days, the talented culinary faculty and students donated their skills and expertise, working alongside FoodShare staff and volunteers to pull off the biggest baking effort in FoodShare’s history! The Love of Tea. Every year, tea sommelier Carol Mark creates special organic, fair-trade tea blends for our Gift Baskets. The Love of Tea is a tea that gives back to support women’s health. Carol Mark has used her platform to raise awareness of cancer and to provide 4,000 free breast cancer screenings to tea workers in Sri Lanka. SOMA Chocolatemaker. We’re proud to include a range of SOMA products in this year’s Gift Baskets. This local, artisanal chocolate shop emphasizes quality ingredients and a time-tested refining process to create their delicious treats. Toronto Popcorn Company. Using high-grade corn and premium ingredients, this family-run business produces exciting popcorn flavours in small batches. We’re so glad to be featuring their amazing products in our Gift Baskets! Contact Sydney Hyatt if you have any question about this program.